There are many many caves in the Dordogne but a good number of them are centered around Les Eyzies making this a popular base for visiting both the prehistoric caves and the caves of stalactites and stalagmites. 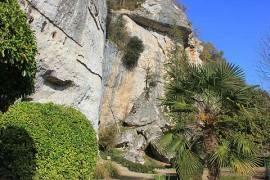 L'abri Pataud is in the centre of Les-Eyzies-de-Tayac and was lived in by Cro-Magnon for 15,000 years. Many of the items found during archeological digs can be seen in the neighbouring Musée de Prehistoire. 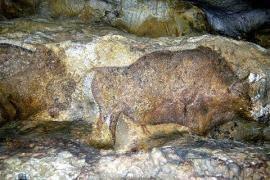 The Font de Gaume cave, just over 1km east of Les Eyzies on the D47 has a superb collection of prehistoric paintings. To protect the paintings visitor numbers are limited and in peak season it is best to make a reservation before visiting these caves. L'Abri du Cap Blanc is 9km east of Les Eyzies this natural rock shelter (as opposed to a cave) contains frieze of horses and bison. Considered to be the best example of sculpture of the Middle Magdalenian period in France! This cave, 3km north-east of Les Eyzies contains engravings of animals and some human figures . 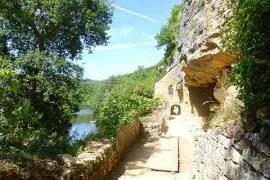 Also to the east of Les Eyzies are les Grottes du roc de Cazelle which were lived in by pre-historic man and then turned into a fortified house in the Middle Ages. It was lived in until 1966! This cave is home to both pre-historic paintings and stalactites and stalagmites. 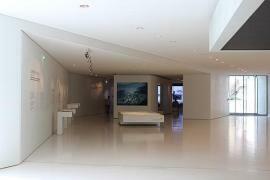 It is only open from July to September. Cave system 2km north of Le Bugue, with lots of animal pictures carved into the walls. See Grotte de Bara Bahau. 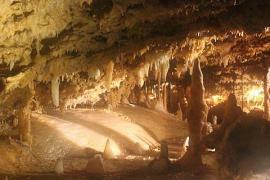 A wonderful natural cave full of stalactites and stalagmites. See Gouffre de Proumeyssac. 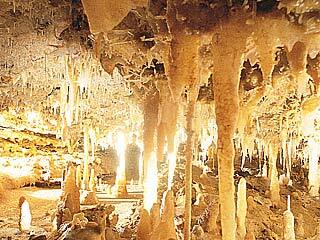 A few kilometres north-west of Les Eyzies the Grotte du Grand Roc caves contain amazing stalactites and stalagmites. See Grotte du Grand Roc. North-west of Les-Eyzies andadjacent to the Grotte du Grand Roc, Laugerie Basse is a pre-historic shelter used by Cro-Magnon man. For more information see Laugerie Basse. 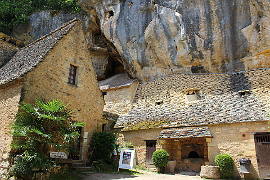 The troglodyte village of la Madeleine is another pre-historic shelter. 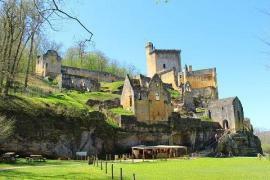 Le Conquil is a park with troglodyte dwellings. It also has a dinasour park for children and a tree adventure course. 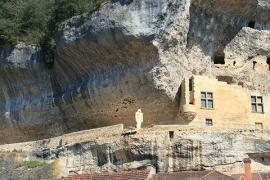 Le Thot is not a cave or a troglodyte dwelling but it is a centre of interest for the Cro-Magnon period. 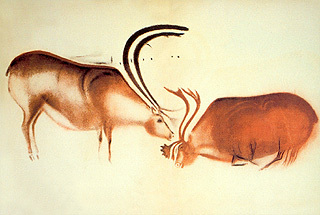 There is an excellent museum of pre-history including some copies of paintings from the Lascaux caves that cannot be seen at Lascaux II. There is also a park with animal species related to those which roamed the earth at the same time as Cro-Magnon men. Again not a cave but the Pre-histo park presents scenes of interest related to Cro-Magnon man. The main picture above is taken in the Font de Gaume caves courtesy of © CMN Paris (photography is not allowed in the caves).